Wabeno is a town of about 1,200 in Forest County which likes to claim a title of “Dual Sport Capital of the World” based on the active ATV and snowmobile use in the area – it’s in the heart of a very extensive trail system. 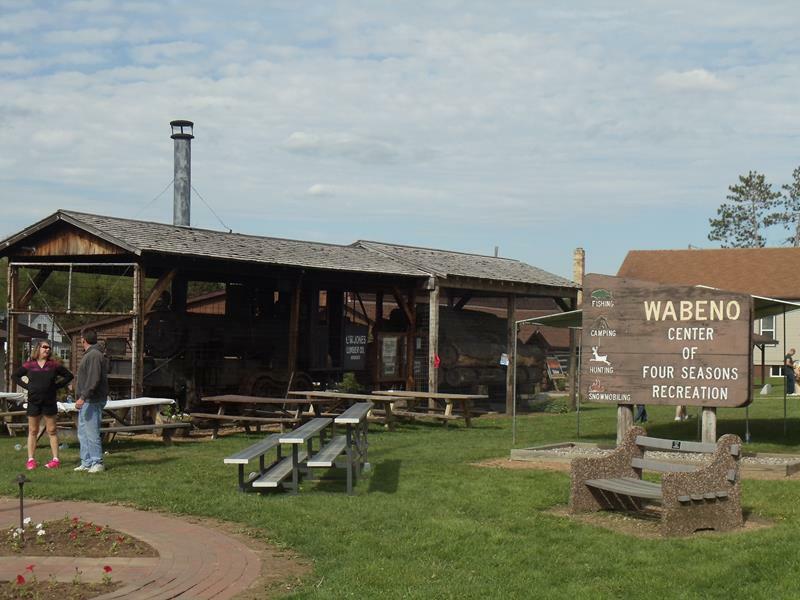 But the town’s history is based on logging; it’s in the heart of the Chequamegon-Nicolet National Forest. 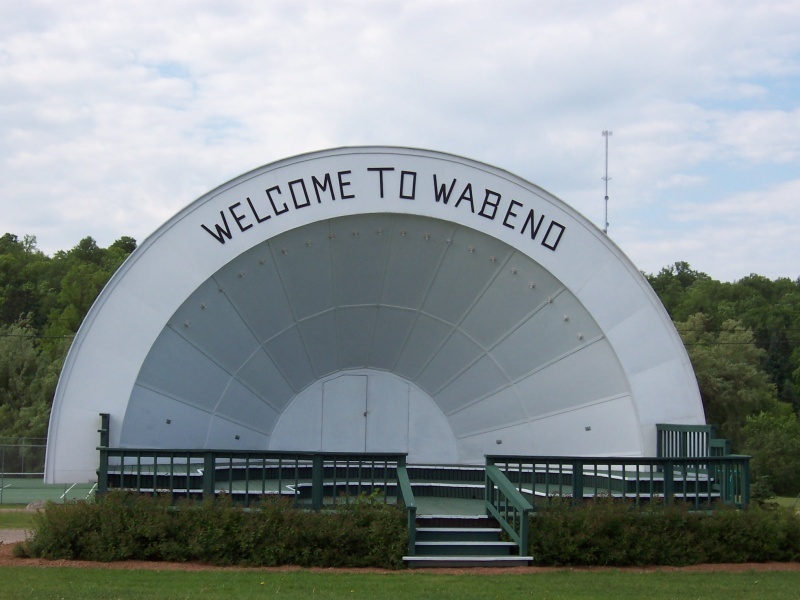 Wabeno’s high school nickname is the “Logrollers” and Larry is their mascot – they just don’t bring him to football games. He’s tough to carry around. 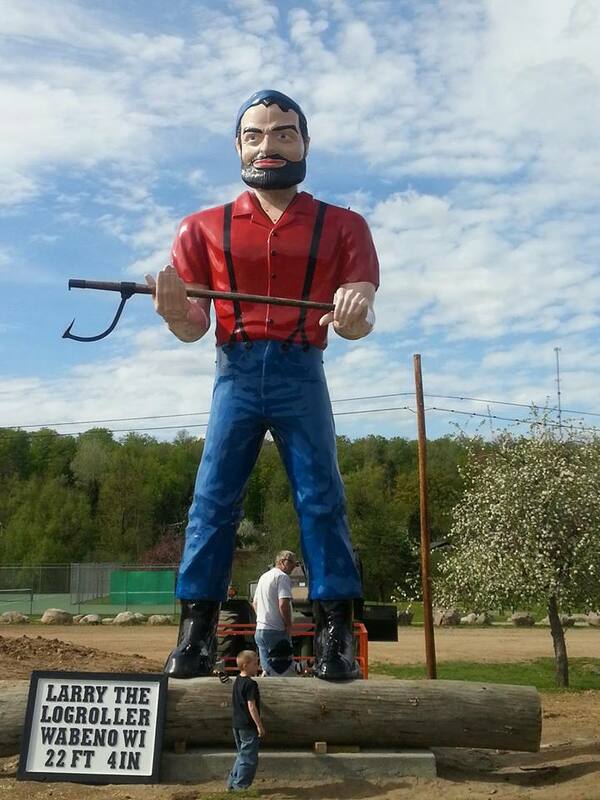 Ironically, Larry the Logroller had to be repaired and reinstalled in 2013 when a log rolled on him, in a sense – a tree fell in a storm and damaged his fiberglass body. He once again stands guard over the town. 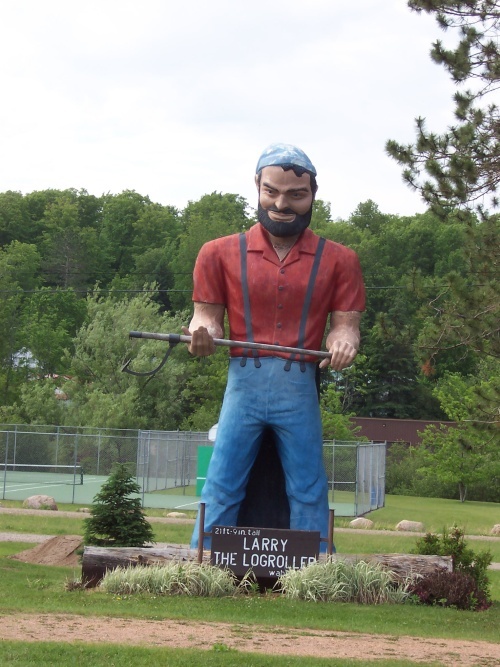 So basically, while you’re traveling through Wabeno there’s something cool to stop and check out: Larry the Logroller and his logging museum. And the train. And it’s a nice city park in general. 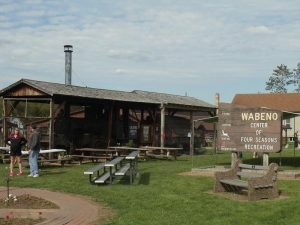 Highway 32 goes right past it, and Highway 52 begins about a mile away on the northwest edge of town, connecting to Antigo and Wausau.